A key concept explored and developed in Get Beyond Your Troubled Past is something I refer to as Personal Job One. The purpose of the book is to help background challenged people succeed in the Marketplace. In this context, the phrase refers to specific underlying issues that must be addressed before any real career success can be attained. For example, staying clean and sober is the Personal Job One for someone in recovery from drug or alcohol addiction. As big and obvious as these issues can be, I'm amazed at how invisible they can become. Like the proverbial White Elephant, they're present and known, yet all too frequently compartmentalized - as if getting a job was a magic fix that would spread the medicine up, down, and all around. 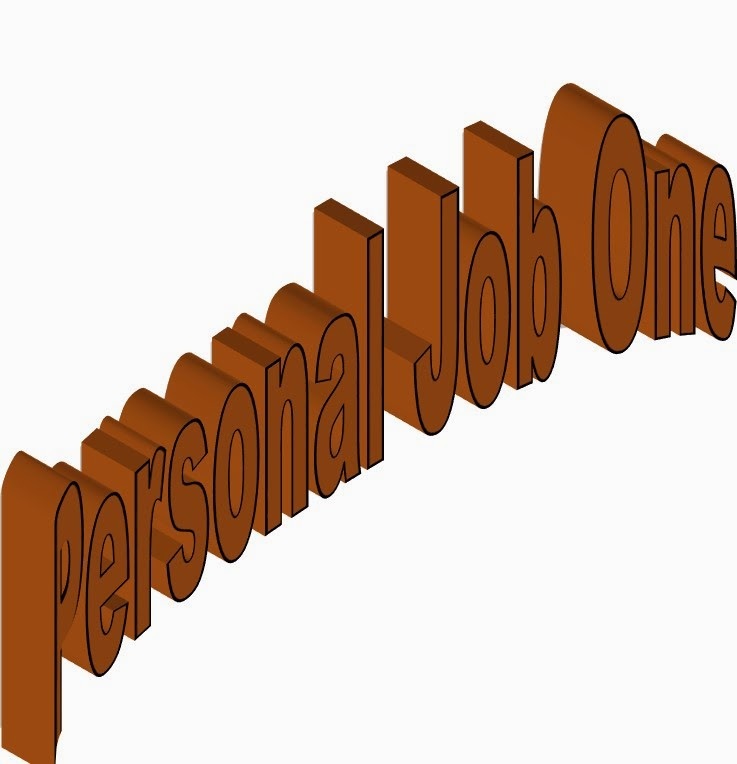 But the idea of a Personal Job One is applicable to all of us. It's planning season after all and lots of time and energy are being expended on creating goals and targets for the coming year. Before getting too far down the planning road, stop. Reel it in. Ask yourself what's the one underlying issue you must address? What's the White Elephant in the room that's being ignored? If you're a brave soul, check with someone you trust. Ask them, what's the one big thing you personally need to address that will pave the way for you to achieve your 2015 goals? Fact is, we all have an elephant buddy. Don't pretend that planning, goal setting, and resolutions will do the trick just because you write them down.